Tim Minchin · Americans! 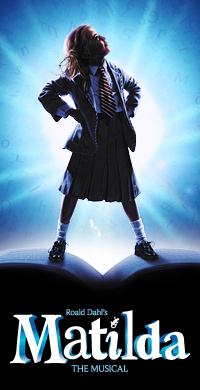 Casting has been announced for the US Tour of Matilda The Musical! Americans! Casting has been announced for the US Tour of Matilda The Musical! As we announced last year, the First National Tour of Matilda The Musical, produced by the Royal Shakespeare Company and the Dodgers, will begin this May in the US, with technical rehearsals and performances in New Haven at the Shubert Theater. Then the tour opens officially at the Ahmanson Theatre in Los Angeles on the 7th June, 2015. There will be dates at cities all over the country, including San Francisco’s SHN Orpheum Theatre, Seattle’s 5th Avenue Theatre and Dallas’ AT&T Performing Arts Center. Further information, the full touring schedule and tickets are available from the Matilda The Musical National US Tour website. The ensemble includes Cal Alexander, Kayla Amistad, Cameron Burke, Brittany Conigatti, Michael Fatica, Wesley Faucher, John Michael Fiumara, Camden Gonzales, Shonica Gooden, Evan Gray, Cassidy Hagel, Meliki Hurd, Michael Jablonski, Luke Kolbe Mannikus, Stephanie Martignetti, Megan McGuff, Ora Jones, Justin Packard, Serena Quadrato, Aristotle Rock, Jaquez Andre Sims, Ian Michael Stuart, Danny Tieger, Kaci Walfall, Natalie Wisdom, and Darius Wright. This is fantastically exciting! I LOVE musicals & Tim Minchin, so seeing Matilda will be a dream come true experience!! Respect & congratulations to Tim on this incredible accomplishment.